Our firm develops and prepares comprehensive estate plans designed to meet our clients’ needs. Our firm can represent you in the development of estate plans ranging from simple Wills to sophisticated Trusts. A member of your family, or a friend, may be unable to care for himself or herself, or to manage his or her financial affairs. This can occur often among elderly people, but may also be due to mental illness or disability or accident. In those cases it may be necessary to seek court appointment of a guardian, to direct the person’s medical and personal needs, or a conservator, to direct the person’s financial affairs. 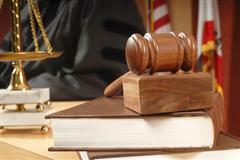 Our experience in this area, developed over many years, enables us to act quickly to get the court appointment needed. Often this can be accompanied by asset protection and estate planning, particularly for the elderly, to protect the person’s assets from being used up for medical or nursing home care; allowing more of those assets to be saved for the person’s family. Medicaid applicants and their spouses may protect savings by spending them on non-countable assets. Medicaid applicants and their spouses may be able to preserve assets by transforming countable assets into non-countable income by using the funds to purchase an annuity. Advance planning may be advisable and the use of trusts in might be considered. Long-term care insurance is a viable alternative for long-term care planning. For more than thirty years we have represented towns and other local agencies, as well as individuals, in all aspects of municipal law. Attorney Crotty has been town counsel to several towns during his career, and continues to represent the Town of Fairhaven, the Carver-Marion-Wareham Regional Refuse Disposal District, and the Mattapoisett River Valley Water District. Our municipal law practice includes advising clients on local laws and representing clients before local boards, in administrative hearings and in the courts. The firm also regularly defends our municipal, corporate and private clients in personal injury suits. Attorney Crotty at one time acted as insurance defense counsel for a large Massachusetts insurer and that experience has provided him with a unique understanding of both the plaintiff’s and insurer’s sides of a personal injury claim. In fact, he is often asked by plaintiff’s attorneys, defense lawyers and insurers to act as mediator and arbitrators in insurance disputes. Disputes occasionally arise, often between family members, with regard to the correct disposition of an estate. How should the property be distributed under a Will or Trust. If you have concerns about an estate matter, we can review the situation for you and advise you on your rights, and help you decide whether to pursue a claim.